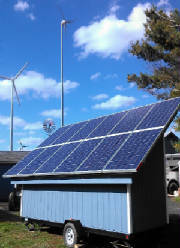 Ask about our Solar Shed design! New "Solar Shed" concept. Versitile solar module. Built to produce electricity. Proven technology. Start small and see your energy savings grow. Traditional style windmill built to produce electricity are a proven technolgy. Made in the USA. Other types of turbines available. 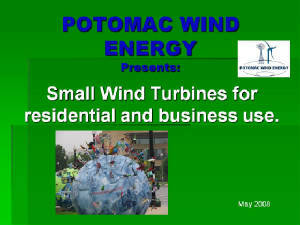 Tubines may produce 40%-90% of a household’s or small business’s total energy needs and because they operate at a low RPM, many systems are as quiet as the trees blowing in the wind. Click here to view see article. Click here to view power-point presentation.